New Zealand is currently in the grip of a government mandated rebranding episode. Most notably the flag is under review, apparently the existing one is deficient for the crimes of “being too Australian” “being to British” and “not sufficiently rugby related”. 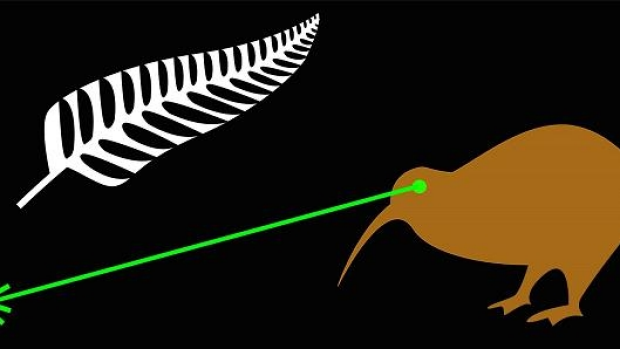 As such the government launched a contest to find a new flag and then proceeded to ignore all the interesting designs in favour of some flags that were like the All Black flag. In a few months we’ll have a referendum to pick the least worse design (all but one fails basic fern morphology) and then a few months after that another referendum were we’ll reject the new design and stay with the one we already have. It’s a pity from this blog’s point of view because we could have made like Papua New Guinea and put a bird on the flag. Obviously with a people named after a bird some people did submit flags with that bird on the flag, one can only assume the government didn’t consider the designs worthy. This outstanding flag by James Gray attracted international attention. It also managed to get fern leaves right. No matter, because New Zealand is also releasing new banknotes, and these are much more up this blog’s alley. For many years these notes have featured a New Zealander (mostly) of note on one side and a New Zealand bird on the other, and mercifully this trend has continued in the new notes. First up, the five dollar note. The Kiwi of note is none other than Edmund Hillary, noted rambler and the first man to claim equal credit with Tenzig Norgay for climbing some mountain. A tall one, if I recall. Anyway, more important is the lovely Hiohio or Yellow-eyed Penguin. This lovely species was recently discovered to be a recent arrival to the mainland of New Zealand. It was originally endemic to the subantarctic islands of New Zealand, but moved north when a related species, now known from fossils, went extinct. It’s an awesome species that is easily seen if you are ever in Dunedin. Next up the ten dollar note. On the face side is Kate Sheppard, noted suffragette. Thanks to her efforts and those of her fellow suffragettes New Zealand women were the first in the world to vote in national elections, in 1893, a whole 27 years before those in the “Land of the Free”. Also featured is the Whio, or Blue Duck, a now sadly rare endemic mountain duck of fast moving streams and rivers. My friend has never seen one and maintains they don’t exist, but I have seen them, and can vouchsafe that they do. They are threatened by introduced species, particularly stoats, and by pollution and dams. The remaining notes will be released next year, so if I remember I’ll look at them then. At any rate consider this another reason to come, even if you don’t see these species at least you can see them in your wallet! Thank you for this interesting update. I haven’t been to NZ in years, and miss its lovely birds and currency!